International sporting events held in the Danish capital are a great opportunity to promote the city according to Wonderful Copenhagen. A local politician from the municipality’s Culture Committee is not convinced. They cheered, chanted and shouted to encourage their favorite team. Even at two goals down and being in a different country than where the game was played, the supporters of the football club FC Copenhagen kept singing. The champions of Denmark needed a goal in the remaining half hour against Ajax Amsterdam to level the tie and keep their hopes of proceeding to the next round of the Europa League, and extend their run of big European fixtures in the 2016/17 season. 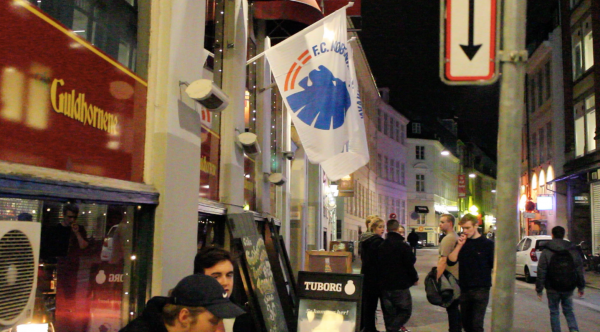 These fans of FC Copenhagen did not make the trip to the Dutch capital to follow their side, and instead encouraged their heroes from a pub in their hometown. A week earlier, when the first leg of the tie was played in Denmark, around 1.500 football supporters from Holland made the opposite journey to Denmark’s main city. Lars Vallentin Christensen, Head of sporting events at Wonderful Copenhagen, sees major sporting events such as football, as an opportunity to not only put Copenhagen on the map, but increase tourism and loyalty to the city for years to come. “If an English football fan has been here one day for a game and liked the city, he will go back to his family and bring them to Copenhagen with him next time, for a longer stay,” Lars Vallentin Christensen says. He emphasizes his organization’s message and role as an advocate for creating publicity for the city. According to him, big international sporting events do so. They create turnover and spotlight. Local politician and member of the Culture Committee in Copenhagen’s Municipality Jens-Kristian Lütken sees the role of sports in the city with a different perspective. He claims that while tourist organizations are optimistic about the influx of fans brought into the city for games, it is hard to say whether these events have long-term, positive effects on Copenhagen. “Sure, events like these can draw attention to Copenhagen as a place but it does not matter how many large events a city hosts if the city is not a place people want to visit,” says Jens-Kristian Lütken. According to him, it is important that the city is also attractive year round, not just when these international events are happening. He highlights the Tivoli Gardens and Copenhagen’s gastronomy scene as examples. ‘’Baku in Azerbaijan, for instance, has hosted both the Eurovision Song Contest and the European Games in recent years. I have been there a couple of times and do not want to go back, ‘’ says Jens-Kristian Lütken. He draws focus to the significance of sporting events to the people already living in the area. He says in general, these types of events should hold the same amount of value to travelling fans as the people who are local. Lars Vallentin Christensen, along with the other Wonderful Copenhagen’s’ departments, have declared 2017 the year to end tourism. He says that the organization’s vision for tourism in the city will shift to be less traditional and more focused on integration. “We are working with a new concept called ´local-hood´. We want visitors to feel like one of the locals.To live like a permanent citizen of Copenhagen.” explains Lars Vallentin Christensen. The organization has published their agenda for the upcoming months that includes strategies for how to successfully shape a new era of tourism. FC Copenhagen did not win the game in Amsterdam on Thursday night and there will be no more visits from other big European football teams this season. But that does not mean the end of big international sporting events in the Danish capital. Later this year, Copenhagen’s newly opened Royal Arena will host the European short course Championships in swimming, and already again next year, the same venue will set the scene for the IIHF ice hockey World Championships. And who knows how well FC Copenhagen will do against European competition in the next season?